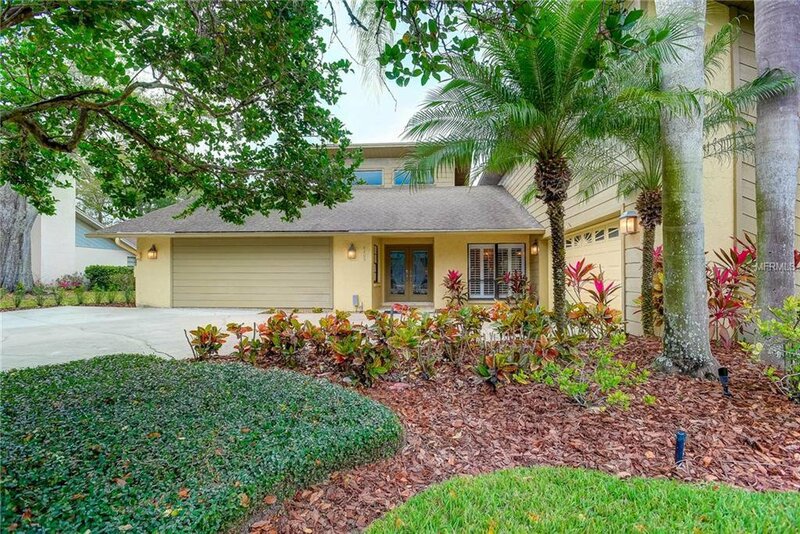 Move in ready single-story 4 BR/3 1/2 pool home located on beautiful tree-lined street in the highly desired Carrollwood Village golf course community. Vaulted ceilings and pool views welcome you into this home. If you like to entertain or have a large family this is the home for you - several entertaining areas including family room/ kitchen combo and separate dining/living room combo. Large eat-in kitchen with granite countertops, stone backsplash, lots of counters and storage including two pantry closets! Family room offers gas-burning fireplace with sliders leading outside to the saltwater pool and gas heated spa. Pool area is surrounded by travertine and covered lanai with tongue and groove ceiling. Large pool area has a full pool bath. Master suite offers his and her closets, huge en-suite and sliders to the pool area. The master bath includes dual sinks, walk-in shower and oversized garden tub. Nearby nursery/bedroom and half bath could be converted to home office, if needed. Two bedrooms and a bath on opposite side of home perfect for guests. Plantation shutters throughout. Inside laundry room w/ utility sink & cabinets. Oversized 2 car garage with workbench. Two zoned A/C systems (main unit replaced in 2014). Close to shopping, restaurants, and schools. Listing courtesy of COLDWELL BANKER RESIDENTIAL. Selling Office: THE SURE WAY REALTY GROUP.